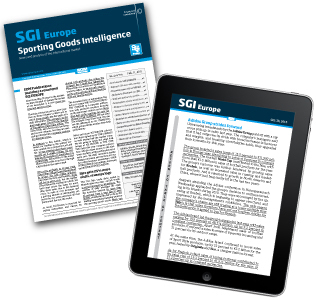 EDM Publications, an independently owned publishing company based in France, puts out the European edition of SGI since 1989 under license from Sporting Goods Intelligence, Inc. Known as SGI Europe, this English-language business newsletter focuses on European countries and on companies operating in the increasingly integrated European market throughout the supply chain, including the global brands and other vendors, distributors, agents and retailers. SGI Europe provides exclusive statistics on the market. It occasionally covers the wider international market as well, focusing on the BRICs (Brazil, Russia, India, China). It doesn't cover the U.S. market or U.S. retailers, unlike SGI." Subscribers to SGI Europe receive at least 40 issues a year. They can get it in print or download it as a pdf file in two alternative versions, like the American SGI newsletter. EDM Publications launched a new user-friendly layout for SGI Europe in March 2011. Subscribers can log into the electronic archives of SGI Europe, dating back to 2006. They also can place classified ads to help find managers and partners in Europe. 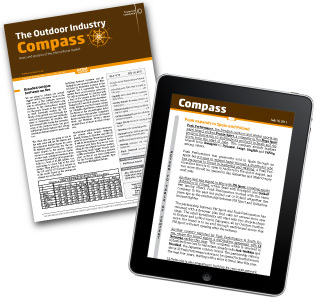 In addition to SGI Europe, EDM Publications puts out The Outdoor Industry Compass, which concentrates on the important outdoor segment of the sporting goods market. It comes out 25 times a year in the same formats. Subscribers can log into the electronic archives of The Compass, going back to its first issue in 2008. SGI Europe subscribers can get The Compass at half the normal subscription price. In the past years, EDM Publications has also released a series of individual, in-depth market research reports on 45 different European countries. They follow an identical quantitative and qualitative approach, to optimize the penetration of any sporting goods brand (we cover ten different groups of products) in each of the markets by understanding their specificities, the local supply chain and the local competition. The reports are still available for sale. It has also published a series of reports on the market for golf apparel and footwear in Europe and Africa, and it is now working on a report on the Scandinavian outdoor market. It has recently widened its investigation to the sporting goods market in India and is now considering other emerging markets. or to call them on +33 1 4983 8242. You may register to obtain a sample issue or the executive summary of one of the country reports. SGI Europe and The Compass are interested in any news that you may have for their subscribers.